Workplace drug testing is common for numerous industries. There are valid reasons for the practice, but it’s also important to know your rights. The Substance Abuse and Mental Health Services Administration (SAMHSA) cites data from a 2013 study that indicates of the 22 million illicit drug users in the U.S., nearly 70 percent were employed part or full time. Approximately 35 percent of individuals suffering occupational injuries were at-risk drinkers. Roughly 16 percent of ER patients injured on the job tested positive for alcohol. Eleven percent of individuals who died from job-related accidents were drinking at the time. Families in Action based in Atlanta provides information in a study how marijuana creates safety issues in occupations that involve transportation or heavy machinery operation. Prescription drug use continues to be a problem in the services sectors, rural workers, and professionals in extraction and construction industries—nearly 16 percent of these workers have substance abuse problems. Other employment factors compromised by drug or alcohol use include absenteeism, theft, lost productivity, job turnover, and low morale. Proponents for drug testing advocate on behalf of all workers’ health, safety, and welfare. There may also legal obligations for federal agencies, schools, hospitals, defense, transportation, and other key industries to prove through structured drug testing measures employees are substance-free, in accordance with the Drug-Free Workplace Act of 1988. In addition, some say workplace drug testing helps keep health insurance costs down, and can provide individuals and families with resources in the event there’s a substance use problem. Employers also have a legal obligation to properly inform all employees of drug testing procedures. All workers have a right to a clear understanding of an organization’s drug-free policy. As an employee or prospective employee, you have a right to receive comprehensive information about drug testing and the drug-free program at your company. Many employers are required to follow state and/or federal regulations regarding drug testing and have certain transparency regarding policy and procedures. It should also be made clear the methods that may be used, including hair, saliva, sweat, or urine. A qualitative workplace drug prevention program should also provide detailed training and information to supervisors, and education to employees about the dangers of substance use and its impact on job performance, along with resources for assistance, if necessary. Q: Is it legal for my employer to require a drug test? A: Yes—this includes federal, state, and private employers, although in the non-government sector, certain state or local laws have different privacy requirements. Q: If I apply for a job, is it legal for the company to make me go through a drug screening? A: Yes, but this mandate may differ by state law, and if policy, must be a factor for all prospective employees, not just a select few. Q: If I’m going through an employee assistance rehabilitation or counseling program due to substance use, can my employer still make me take a drug test? A: Yes. The employer has the right to testing to make sure you’re following the program. Q: Is it legal for my employer to have someone watch me during a urine test? A: No. But your employer can enact other procedures to avoid sample tampering, such as requiring you to change into a hospital gown, having someone in the same facility while you use a bathroom stall to listen during elimination, or checking the specimen temperature. Q: Am I able to refuse a drug screen? A: Yes, but keep in mind you may not be hired for a prospective position, or you may be fired from your current job, without recourse against existing policy or the possibility of unemployment benefits. 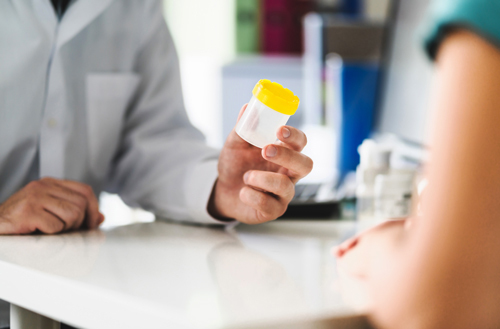 Quick tips from the Privacy Rights Organization detail how medical records and drug testing may coincide with your employee rights. There are numerous resources and support personnel if you feel substance use is an escape from job-related pressures. For example, Twin Lakes has options for 12-Step programs, as well as outpatient services in Athens and Gainesville that offer assistance. To learn more about our detox and treatment programs at Twin Lakes, including Georgia IOP, please use the convenient contact form.